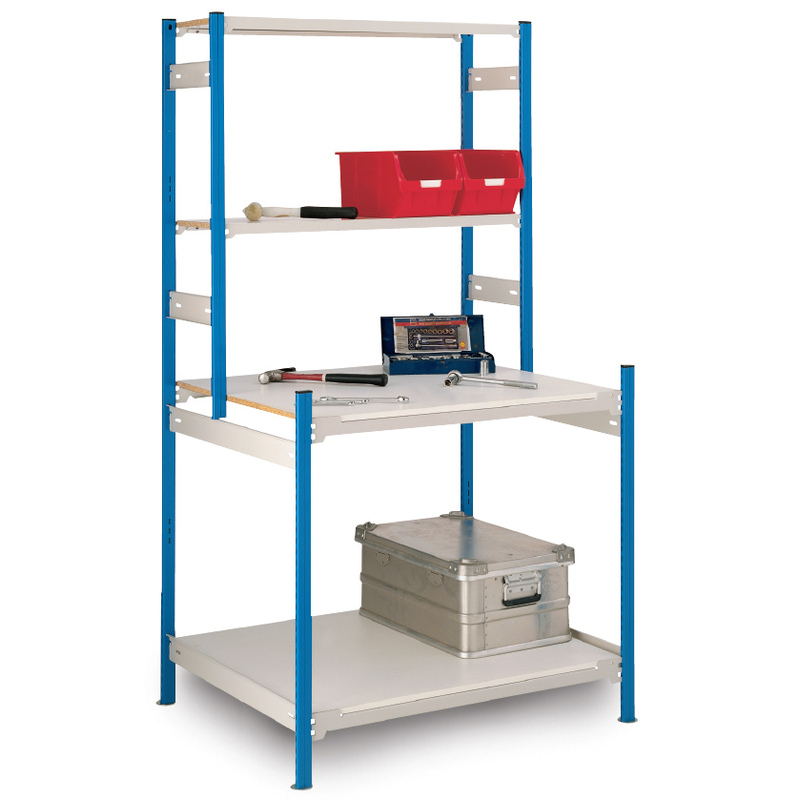 Free-standing workstation made from strong commercial grade e-z-rect Trimline components - providing a secure and practical way to incorporate storage shelves and a work area into one cost effective unit. 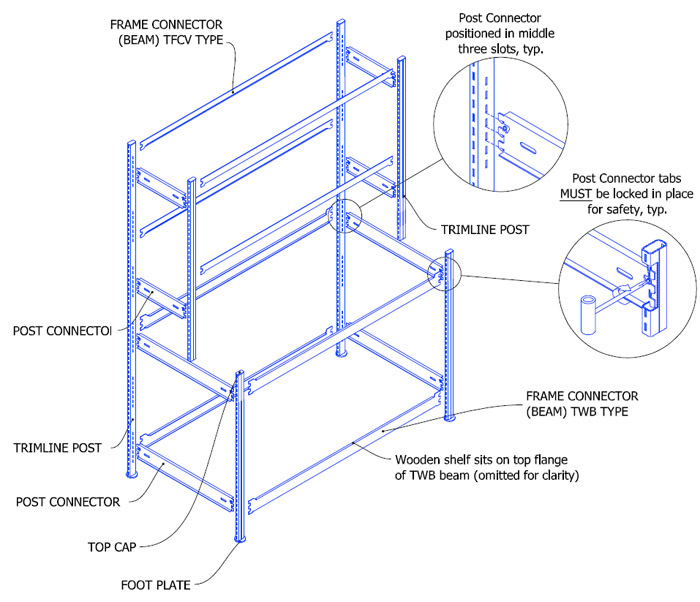 This compact work station has many potential uses in a variety of environments, use it as an assembly bench in a garage, a repair station in a workshop/factory or a packaging and labelling table in a retail or wholesale stockroom. Whatever you choose to use this workstation for, the quality components will ensure a long service life and adjustable shelf sections allow you to tailor the unit to suit your exact needs. Note: This is our standard work-station in the most common size but if you require something slightly different, like extra shelves or different sizes then please call us today for a quotation. Note: Bins and props shown for illustration purposes only.